Samsung ist mit dem R522 ein durchweg rundes Paket gelungen, das für viele Aufgaben gut zu gebrauchen ist. Neben den üblichen Office- und Multimediaanwendungen taugt der Allrounder auch für die meisten Spiele in nativer Bildschirmauflösung und erfordert nur hier und da angepasste Qualitätseinstellungen. Die Schnittstellenausstattung inklusive der Positionierung ist in dieser Klasse fast schon vorbildlich und lässt viel Raum für Erweiterungen. Unverständlich bleibt bei diesem Aspekt nur, warum kein Bluetooth-Modul integriert wurde. Das Samsung R522 ist ein Schnäppchen für Gelegenheitsspieler. Die Leistung reicht für aktuelle Spiele in mittleren Detailstufen vollkommen aus. Ausstattungstechnisch steht der Samsung ganz gut da. eSATA, USB, HDMI sind an Bord. Auf Blu-ray muss in dieser Preisklasse verzichtet werden. Firewire hätten wir aber gerne gesehen. Das Display ist verspiegelt, also nur bedingt für den Einsatz im sonnigen Park geeignet. Aber die Helligkeit und die möglichen Blickwinkel in der Horizontalen können uns überzeugen. We can't fathom why Samsung neglected to include 802.11n wireless support, but with its decent battery life, reasonable performance and overall good looks, the R522 is good value at this price. Its use of integrated graphics means 3D performance is poor, so gamers will need to look elsewhere, while some users may find the keyboard a little too slippery. When conjuring up budget laptops for the mass market, manufacturers will usually do their level best to make them look more expensive than they actually are, and the R522 from Samsung is no different. The keyboard won't suit all tastes and we were hoping for slightly better battery life, but on the whole this is a decent budget laptop from Samsung. That said, the bizarre decision to go with 802.11g wireless and the total lack of Bluetooth may be enough to dissuade some potential buyers. 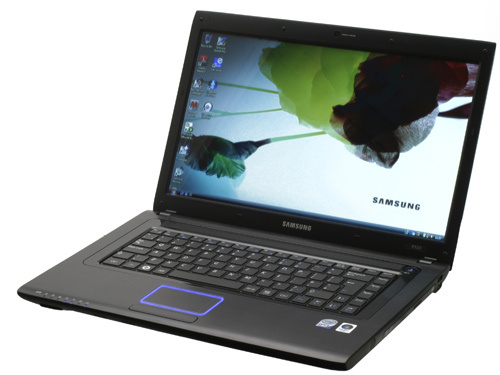 The Samsung R522 is a comfortable and stylish laptop, but is limited when it comes to media use. 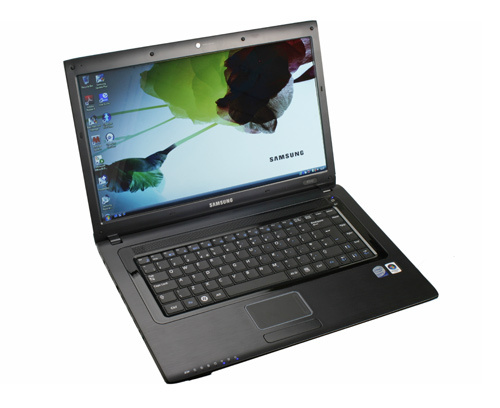 Samsung's R-series offers good quality and features at affordable prices. The R522 is a mid-range system that features impressive quality, good usability and a true widescreen display. The Samsung R522 is a good laptop in most areas, but it's not a great one, with costs cut when it comes to features and multimedia power. That said, if you're after a semi-portable choice for the commute, the decent battery life still makes it well worth a look. Samsung’s R-series targets those on a budget, offering impressive features and quality at decent prices. 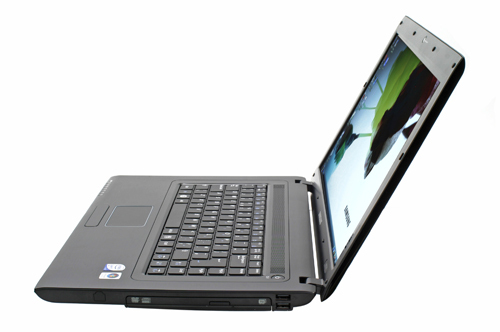 The R522 is a 15.6-inch laptop that offers comfort, style and decent office performance. The Samsung R522 is a capable laptop, but it’s difficult to get enthusiastic about it. 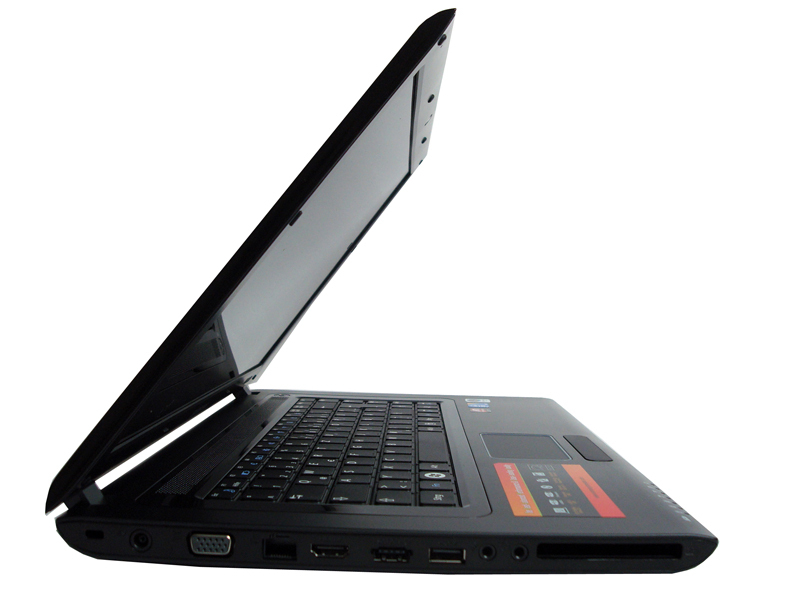 Styling is neat, performance is capable, features are average - in no way is it a bad laptop. Unlike some of Samsung’s smaller offerings, however, it’s also not a great one. Samsung's latest mainstream notebook does lots of things well. It looks great, adding a little class and refinement to a sector better known for well featured but prosaic machines. It also has a decent base spec, very good connectivity and excellent battery life. However, it is let down by truly dreadful speakers and the lack of both Draft-N Wi-Fi and Bluetooth. These aren't deal breakers, so if you can live without them the R522 is worth serious consideration, but they do preclude the R522 from an award.